Ten years back, a Coimbatore-based lad rolled out Viswaroobam Aarambam, a Tamil hip-hop mix tape, touted to be the first of its kind. 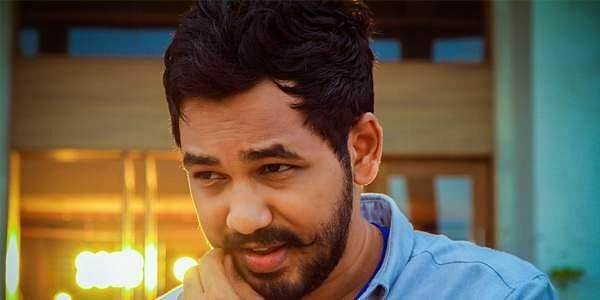 Now Adhi, better known as Hiphop Tamizha (also the name of his musical duo with R Jeeva), is set to make his acting and directorial debut in Meesaya Murukku, even as he continues making music, and pursuing a doctorate in brand management. “More than acting, I have always had an eye for direction which, in a way, lets me connect with the audience,” says the 26-year-old performer, who will share screen space with Vivekh and debutant Aathmika in the film. The movie will see him play a frustrated engineering student who dreams of making it big in the music industry. An engineering graduate, he shares how his father initially disapproved of his musical aspirations. “English pesinalum Tamilanda is not to disregard other languages but to embrace ours,” says the composer, whose recent short film-and-music-video Takkaru Takkaru saw him locking horns with animal rights organisation, PETA. “I still stand my ground that Jallikattu, a part of our roots, is a breeding science and not a sport,” he says. Next up, he will be seen composing music for five films, slated to release this year, including Imaikkaa Nodigal, Kaththi Sandai and his Telugu debut Dhruva, starring Ram Charan. The singer-turned-actor is also excited about his upcoming film Kavan (2017), where he explores six different genres (rock, Carnatic, dubstep, opera, EDM and native folk music) in an adaptation of Tamil poet Bharathiyar’s Theeratha Vilayattu Pillai. Murukku Meesai is expected to release in December.